The S-Cross was the first model to retail from Maruti Suzuki’s Nexa premium dealerships but it did not become an instant hit as Baleno was. The Indo-Japanese manufacturer had to dig deep and introduced the facelifted in October 2017, which helped largely in reviving the sales as the crossover started averaging 4,000 unit sales. 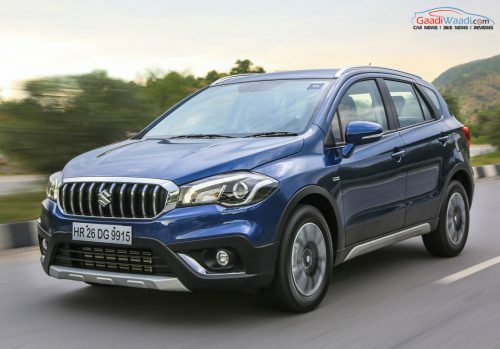 However, on the flipside, Maruti Suzuki elected to sell the S-Cross only with the 1.3-litre diesel engine in just four trims ranging between Rs. 8.85 lakh and Rs. 11.48 lakh (ex-showroom). With the sales of diesel variants diminishing in recent times, Maruti Suzuki will have to react quickly and introduce the new 1.5-litre K15B petrol engine. The four-cylinder unit with SHVS smart hybrid technology debuted in the facelifted Ciaz in August 2018 before being added to the Ertiga’s lineup in its new avatar three months later. 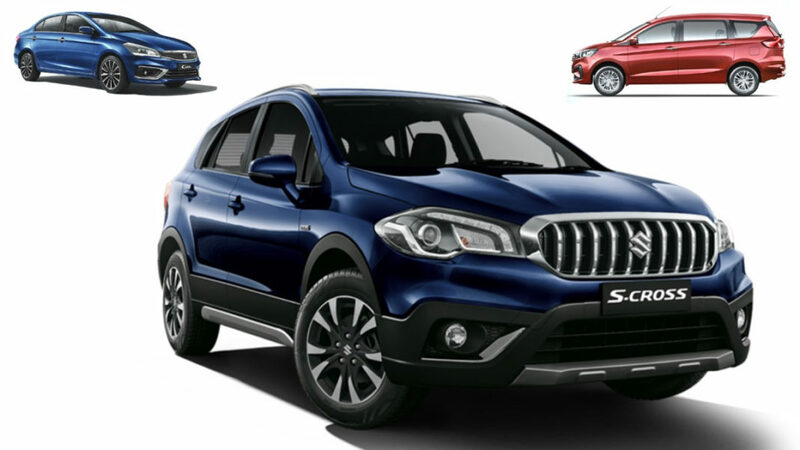 It is the ideal candidate to be introduced in the S-Cross as well due to its good efficiency nature and performance characteristics. It develops 104.7 PS at 6,000 rpm and 138 Nm at 4,400 rpm and is mated to a five-speed manual transmission or a four-speed automatic in the Ertiga. The arrival of the automatic transmission in the S-Cross along with the new fuel option will further expand the model’s range and will be more appealing for customers than it does right now. The mild-hybrid system does feature dual battery setup and it could help in eking out more mileage from the powertrain. Moreover, the new engine will also likely to help reduce the starting price of the S-Cross further and considering the Rs. 1 lakh price difference between entry-level petrol and diesel variants of Ciaz, we can expect the S-Cross range to start from around Rs. 8 lakh (ex-showroom) courtesy of the new motor. Maruti Suzuki will also likely replace the 1.3-litre diesel engine from Ciaz with the new in-house developed 1.5-litre DDiS 225 soon, as the Fiat-sourced mill will be shelved as it won’t be upgraded to meet BSVI emission regulations. It kicks out 95 PS power at 4,000 rpm and 225 Nm of peak torque delivered between 1,500 and 2,500 rpm and is connected to a new six-speed manual gearbox.